Google's Nexus product line could be poised for an overhaul in the near future, with the search giant rumored to be ditching third-party OEMs in favor of building its own hardware and software in-house. Until then, though, the Big G is still outsourcing the product-building side of things, and of its two main smartphones, LG was tasked with crafting the much-vaunted Nexus 5X. At launch, it was available for $379 unlocked, which was a great price for a solid smartphone. Now, only a few months after it first arrived to market, the 5X can be snagged brand new and unlocked for just $279.99. Since most devices have a lifespan of just twelve months, it's natural for prices to drop even shortly after a launch. So far, even Google has cut the Nexus 5X price once or twice, and while eBay can be a little hit-and-miss when dealing with individuals, professional stores with years of feedback tend to be a tad more reliable. In this instance, Yapper Wireless has the Nexus 5X for the cheapest price you'll find anywhere right now given the new and unlocked condition. There's also free shipping for buyers inside the United States, with a choice of the Carbon or Quartz color schemes. As you might expect, they appear to be selling like hotcakes, and as such, the Ice model is already out of stock. Thus, if you are interested in grabbing this handset for a rock-bottom price, do act quickly. In our own review of the Google Nexus 5X, we noted the great performance on Qualcomm's Snapdragon 808 chip, the versatile camera and relatively decent display. 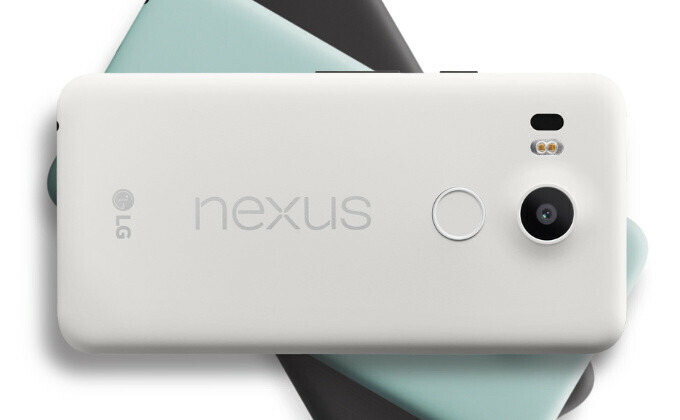 The price was also a clincher, and at $100 less already, the Nexus 5X is a bit of a steal. If you are interested in picking up the device for under $280, check the source, and if you're still on the fence, be sure to check out that aforementioned review. Great deal, got one! It costs $279.99 flat, no tax, better than $299.99 + tax from the google store. Tbh it should have been released at this price. Great deal! Is this the 32gb version? No, 16 GB, the 32 GB version is for $339.99 from the same seller. But no warranty? Pass. Get it from Amazon. This is for a 16 GB phone with no expandable storage, no thanks. This is a good deal said no one. It's made by LG, it's only 16GB, it doesn't have dual front firing speakers, and it only has 2GB of memory. You can do better elsewhere. The Moto X Pure Edition is a far better deal and that's saying a lot. Moto X Pure has S615, it cannot be better deal, ever. Also the camera is far worse, what you want is Moto X Style. Moto X Pure and Moto X Style are the same phone. The one that has the S615 is the Moto X Play. Just why do you need more? Full resolution photos, video, apps. Last year Nexus 5 price remained at same level for 8-10months.. But this year, 5X prices reducing quite frequently.. Probably that shows its sold at very high price in the beginning!!? The 5x is a wonderful phone, a nexus, finally with a very good camera, a fast fingerprint sensor in perfect position, very good screen, good battery life, overall good user experience. I have it and I love it. Yet, google made too many compromises on the 5x: only 2gb of ram, 16gb version (should have been 32/64), subpar audio, and that's not users were looking for. Not, it shows that this year there is huge competition, market - stagnation. 16 GB, buying from ebay? No thanks.